This is commonly known as the legendary 3-colour drink. We’re not only giving it a more adorable name, but also presenting it with its utmost originality. Red colour from slow cooked kidney beans, yellow from mung bean puree, and green from rice jelly droplets coloured and scented with pandan extracts. And of course the home made coconut milk that adds everything together with a sprinkle of coconut chips to complete the texture experience. 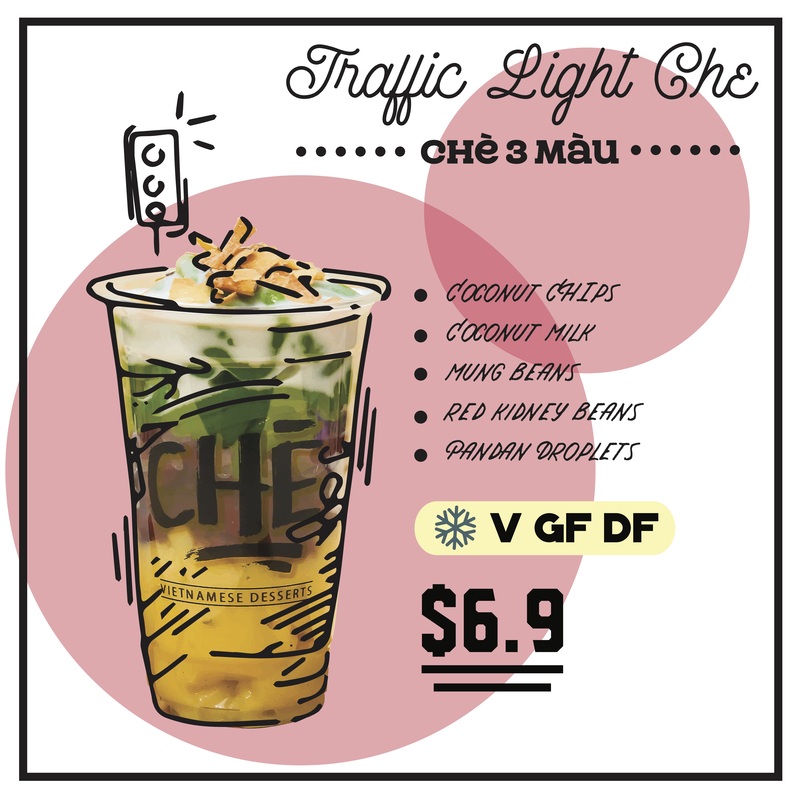 Traffic Light Che is Gluten Free, Dairy Free and Vegan friendly.